This is the very rare No. 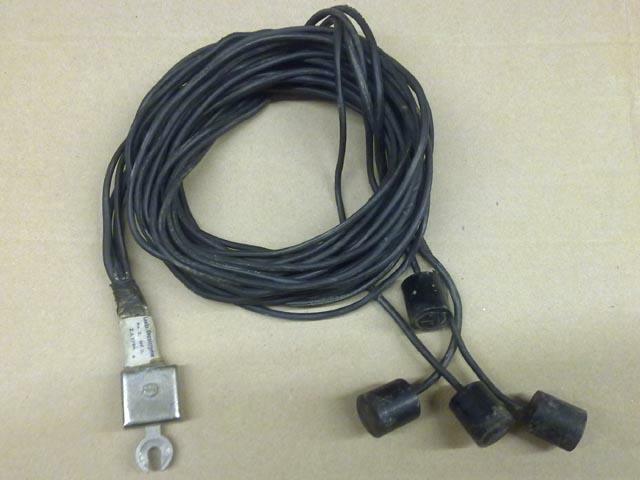 2 MKII Counter-Poise antenna for the Legendary WWII British radio station Wireless Set No. 19. The Counter-Poise has four wire segments which is laid like a cross underneath the radiating antenna. The four wires go to a central location to the radios earth terminal to provide a artificial ground plane. Each wire segment is 340 Cm 134 Inch Long. Supplied in good condition considering they are about 60 years old, supplies are limited.